NEW CANAAN, CT—Driving up from the city after learning that the family’s regular patriarch would be out of town filming a special assignment, NBC News anchor Lester Holt filled in for Brian Williams Monday during his family’s nightly dinner, sources confirmed. 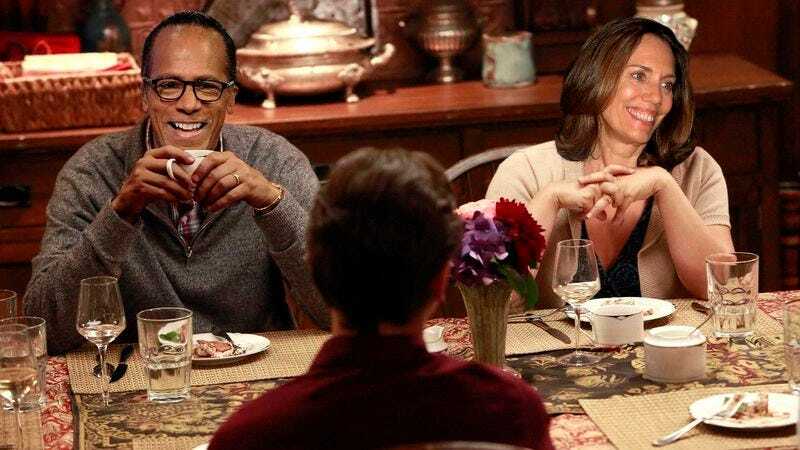 “Good evening everyone, Brian has the night off and will be back tomorrow,” said Holt as he sat down at the head of the family’s dining room table before scooping himself a helping of chicken marsala and checking in with each member of the Williams family on how their day had gone. “Jane, I’ve got to say, these roasted potatoes are absolutely fantastic. Now, Doug, what can you tell us about the ongoing conflict with your coworker? Are there any signs of possible resolution in the days ahead?” Following the conclusion of the meal, Holt reportedly signed off by excusing everyone from the table and began silently washing the dishes.